Update 2015/01/03: You are probably here for one reason: how to use SNMP to switch this router to bridge mode? As this is unsupported by UPC Ireland, let’s hope they don’t spoil the fun for us. 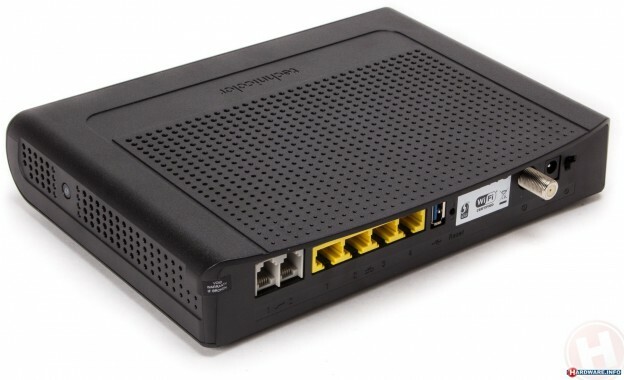 (After posting the main body of the post, I actually got a proper DD-WRT friendly router and have started using this.) So here’s what you’re interested in. Additionally, concerning IPv6, at no later time have I observed receiving an IPv6 globally routable address, so I guess that was a lucky hiccup. Based on this thread which I ran into here. These are just notes; if you can learn something from them, do so; but please be careful and fully aware that these are not instructions — merely notes for my own personal use in the future. I do not recommend you follow the notes; quite the opposite. Despite (according to their reps on Twitter) telnet being unsupported by UPC, you can easily telnet 192.168.100.1 and use username: webstar, password: webstar to log into the console. There isn’t much to do there, sadly. Apparently you may be able to use the set command to control SNMP settings. Some configuration of hidden features can be done via SNMP. I highly advise you not to do that. This is unsupported by UPC, and you might be unable to restore settings to the previous state. Note that the value of “1” means “modem mode” (also known as “bridge mode”), while “2” means “ordinary NAT+routing mode”. Be very careful. Turning on “modem mode” breaks Wi-Fi. You may need to bring up a separate access point for Wi-Fi. You may have trouble restoring the setting. PUBLISHING OF THESE NOTES DOES NOT CONSTITUTE ENDORSEMENT TO ACTUALLY USE THEM. Also, I was unable to restore the setting to “2” using SNMP. Hard reset by holding the reset button for 30 seconds worked. Unless you use it strictly as a modem, with another device that performs NAT and IPv6 routing, it isn’t worth switching to NAT mode. So please don’t do this unless you’re fully prepared for breakage of service and possibly annoying UPC (since they obviously don’t want people to play with this). It’s interesting that UPC does assign a public, fully routable IPv6 /64 prefix. Too bad that it’s not exposed to regular users locked behind a NAT who cannot get direct access to the public Internet, and who have been locked out of it by a firmware that is seemingly arbitrarily restricted compared to the one used in Netherlands. UPDATE: Two sources have told me that they did not receive an IPv6 prefix or address. As I am not keeping my device in bridge mode, and I do not advise readers to do so either (unless they have very good reasons), I cannot and won’t verify this. You can opt to leave a comment on your success, but I want to be clear that neither my text, nor any comments below, represent any advice on my part. It’s also interesting that the setting seems to have survived a factory reset through the web interface. Factory reset through web interface has, however, restored WiFi functionality, and it seems that WiFi and LAN are getting separate IP addresses. Factory reset by holding the reset button for 30 seconds is the actual hard reset and cleans up the setting for “modem mode”. This entry was posted in IPv6, networking, troubleshooting on January 11, 2014 by Ivan Vučica. This is a repost of an answer I made to my own question on SuperUser (the “non-programmer” Stack Overflow) regarding setting up pptpd under Debian to route IPv6. This post does not deal with routing the segment through OS X once you got it to OS X. This post only minimally deals with Windows as a client, because it Just Works™, and does not deal with GNU/Linux as a client, because it didn’t “magically” work under Ubuntu when I tried it, and I am not interested enough to figure out why. Main goal here is documenting what an OS X user who has access to a Debian server with a public IP needs to do in order to get his OS X machine onto public IPv6 Internet without exposing it to public IPv4 Internet. Also take note that OS X will ignore whatever address was supposed to be negotiated over IPv6 and set up only a local address. This may interfere with routing towards OS X. On the other hand, Windows 8 (of all systems!) has happily picked up the address sent over PPP, took note of the router advertisement, and overall configured itself flawlessly. PPTP really works nice in Windows. Instead of configuring radvd directly and running it as a server — simply don’t configure it globally. That is, don’t run it as a service on Debian. Instead, let’s follow Konrad Rosenbaum’s example, at Silmor.de, and have radvd configured after pppd creates the PPP interface. # this would ordinarily do it. # for the client (UUUU:VVVV) and routing (WWWW:VVVV). # And the /48 prefix is very different altogether. You’re supposed to be able to replace the addresses with * instead of listing them manually. I did not try that out. Assign your PPTP users some IPv6 prefixes. NOTE: this is solely used by the script I’ll list below, which is derived from Konrad’s script. echo "No IPv6 address found for user $PEERNAME"
# We'll assign the user a /64 prefix. # I'm using a Hurricane Electric-assigned /48 prefix. # or some other identifier). So try to obtain a /48 prefix. # trying to enable these users to have routing. # Add the address for your side of the tunnel to the PPP device. # The creation of radvd configuration could be more readable, but whatever. The script spews radvd configuration into /etc/ppp/ipv6-radvd/… ensure that the folder exists! I have not tested using DHCPv6 to distribute the routing information, addresses or DNS information, especially since rtadv should be fulfilling these roles. It also would not help me, because as of Mountain Lion, OS X still does not ship with a DHCPv6 client (perhaps intentionally; nine out of ten dentists most of IPv6 experts agree that DHCP is evil). Once again, please note Michael’s comments on PPTP security; consider using OpenVPN in production. This entry was posted in IPv6, Mac OS X, networking and tagged debian, gnu/linux, PPTP, VPN on May 19, 2013 by Ivan Vučica.